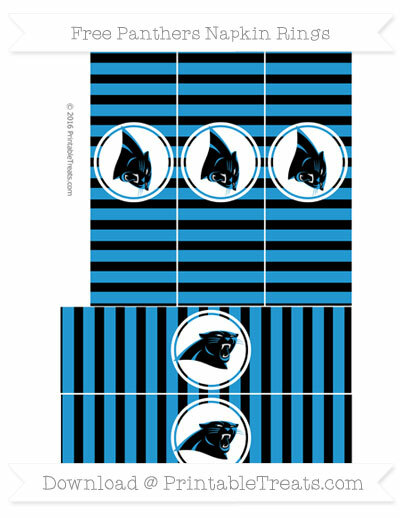 Get this awesome free Panthers napkin rings printable you can use to hold together your cutlery or decorate cups for a sweet Superbowl party. These cute napkin rings are decorated with a blue and black striped pattern. There is a Panthers logo in the center of each napkin ring. You can also use these to decorate plastic cups for the party table too.